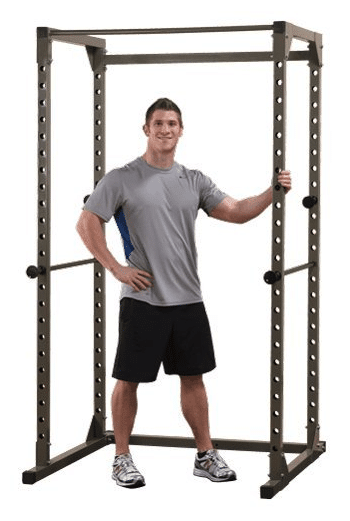 Titan Power Rack Review – Worth it? It isn’t too often that power racks that weigh less than 120 pounds are sturdy enough to handle large amounts of weight, but at 107 pounds, the Titan is still a highly sturdy, well-built rack. 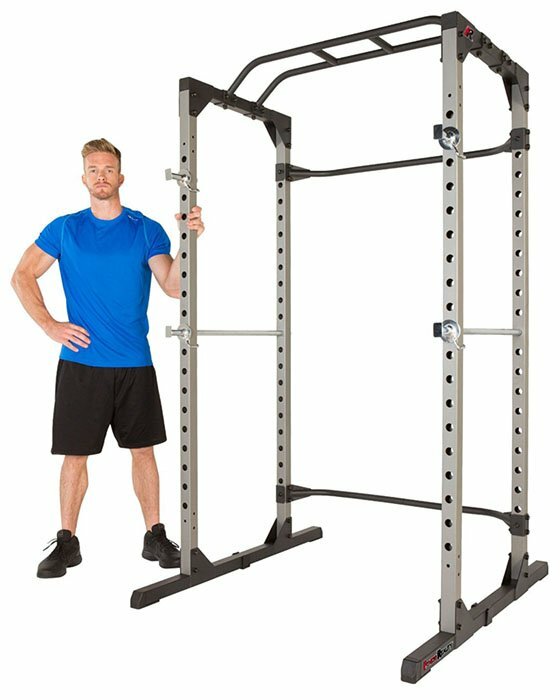 With twenty-eight positions and eighty-three inch overall height, and wide dimensions, the Titan Power Rack is capable of accommodating a wide variety of exercises, and it’s light weight and easy to assemble design means you can have it up and working in no time at all. 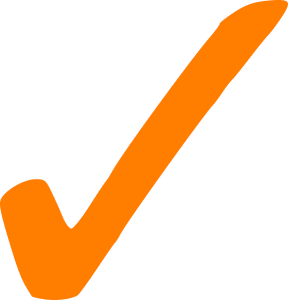 But with so many power racks out there, it can be hard to purchase the one that will suit you the best, so let’s take a closer look at its features. The entire rack is made of heavy-duty steel and the max withstand capacity of 700 lbs speaks for itself. Personally, I don’t think any serious lifter can reach the maximum capacity of this rack. 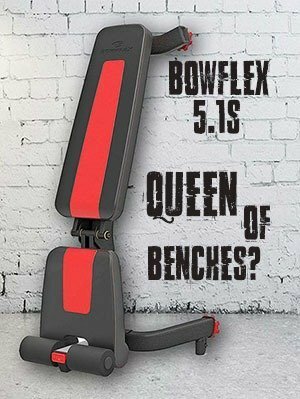 Titan Fitness brand again proved that they know what they are doing. 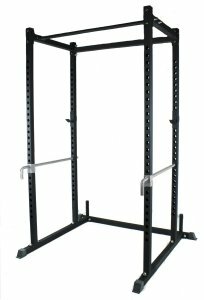 The opening of the power rack is 44” with a depth of 48”. The front to back bar measures at 26”. There is a floor space of 48” by 48”, which is pretty standard. Not only is the Titan Power Rack lightweight and portable, it also has a nice, tall construction, meaning that you will have no problem with squats and chin-ups even if you are a little on the tall side. The twenty-eight positions offer plenty of flexibility, and 48” by 48” of floor space give you plenty of room to maneuver. In short, the Titan is one of the best racks for allowing you to comfortably perform a wide variety of weightlifting exercises. Even though the Titan is a highly sturdy power rack, it is still known to have some side to side wobble, especially when using heavier weights. Also, the knurling on the chinning bar is somewhat rough and uncomfortable in the hands. Finally, some have complained about the j-hooks being a little loose. If you want a lightweight power rack that can be assembled in a matter of minutes and offer more than enough room and support for any exercise, then the Titan is a truly great power rack. If you can look past tiny flaws such as the j-hooks and rough knurling on the chinning bar then the titan is an excellent, well-built power rack that you should certainly consider.